Gaining the attention of the local audience is an essential aspect to being successful online. Smart SEO provides the best local SEO services and more. Localised SEO allows you to target customers in your area – generating essential offline revenue. With local SEO services from Smart SEO, your business will achieve guaranteed first page rankings, which will pave the way for success. Smart SEO uses a team of SEO professionals to develop your local SEO marketing scheme. We use Google Maps as well as Google Places and other location orientation devises to make sure your business shows up in local searches. By indexing your business with the search engines, the Smart SEO team generates the right exposure from invested clientele. Discover what local SEO services can do for your business when you trust in Smart SEO to offer you the best local SEO services Sydney has to offer. We will literally put your business on the map so you can easily be found by all of your local and international clientele. 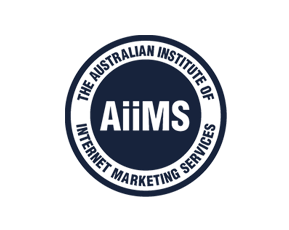 The majority of local SEO services Australia businesses rely on will result in greater sales. This is due to the fact that you will have more traffic to your website. Smart SEO understands the Google algorithms and we know how to make sure that you are getting the right exposure. Get found in local searches with the local SEO services offered by Smart SEO. We look forward to helping you with your SEO needs today. Call Smart SEO today on 1300 641 849 or email us at info@smartseo.com.au.